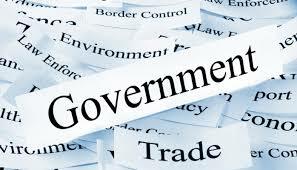 The role government plays in business is often underestimated or completely overlooked. Decision makers at the municipal, provincial and federal levels can have a profound impact on the way a business operates, whether intentional or unintentional. Governments develop and adopt policies and regulations, impose taxes, provide funding or simply take public positions to try and influence business and consumer behavior. Business leaders can either be ahead of the curve, educating, anticipating and influencing government direction or be reacting to positions that are detrimental to the future operation. Develop a comprehensive government relations strategy with clear objectives and tactics designed to achieve your objectives. Monitor the government’s political agenda and ensure your goals are closely aligned for future success. Establish relationships with key politicians, political staff, and civil servants. Educate key decision makers about your objectives or issues. Work with political leaders to help support, champion and promote your position or product. Identify government programs with potential for future funding. Attend key events or recommend events that will provide an opportunity to influence government decision makers. Identify important stakeholders with similar interests who can support your position. Ensure your public relations and government relations approach are complementary and maximizing value for money.